I love living right on the beach, I can see the sea from my lounge and bedroom window so I wanted to combine something seaside sounding with parenting. I couldn't really think of anything beachy that had a good ring to it, but Southern Mummy came into my head and I think the South is associated with the seaside and I thought it was quite catchy - so it stuck! Currently its a Hobby, but I love what I do, who knows what the future will hold, I wouldn't say no if the opportunity arises to make a living from it. I think a small amount, but then there always seems to be stigma attached to most things in someone's opinion. If you love what you do and are not hurting anyone then what's the harm? 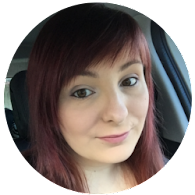 I really love Hayley's blog at Sparkles and Stretchmark's - She is so open about her anxiety and I feel I connect with her - even though I have never met or spoken to her. Her writings just relate to a lot of feelings and anxieties I have. I really loved how open, Brave and Honest she was in her recent post: http://www.sparklesandstretchmarks.com/2016/09/an-open-letter-to-my-high-school-bully.html I really admire her. Actually I haven't told anyone I'm blogging again, I think my anxieties are quite high at the moment, so I haven't disclosed it ....yet! Again I don't really talk about it at the moment. However those I have spoken to are really positive. If you find that no ones finding your blog in the early days don't underestimate the power of Social Media and Linkys to get your name out there!! Just be yourself, you cant go wrong with that!